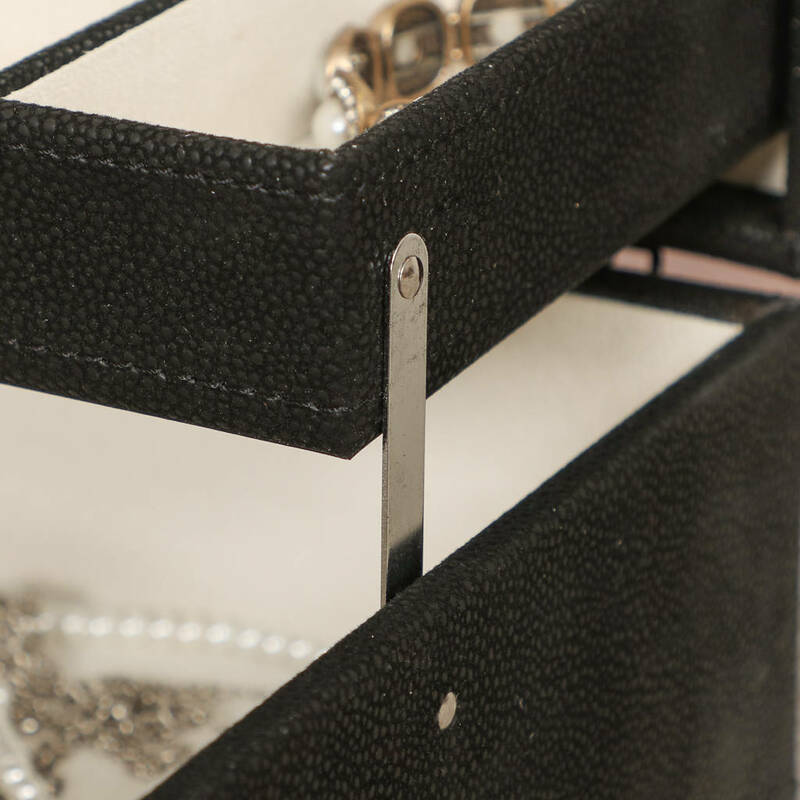 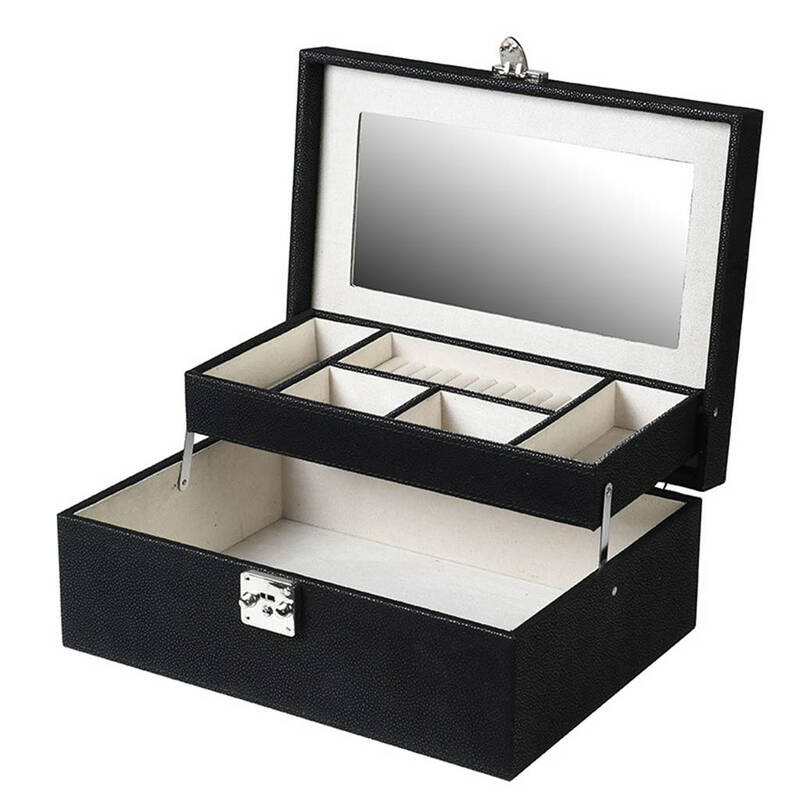 A stunning high quality faux leather folding tiered jewellery box with plenty of space to store all your valuables safely. 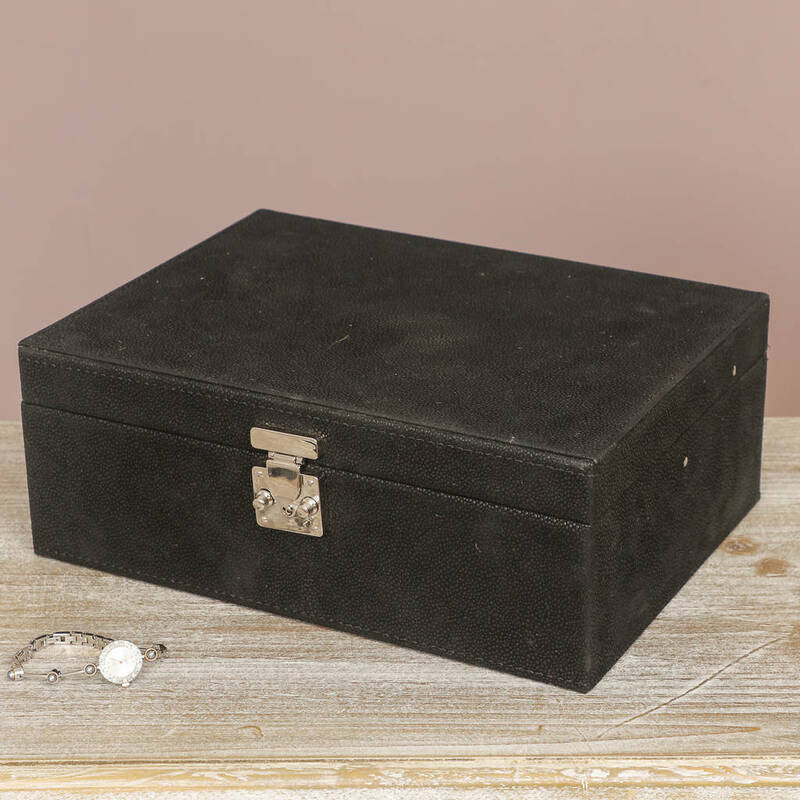 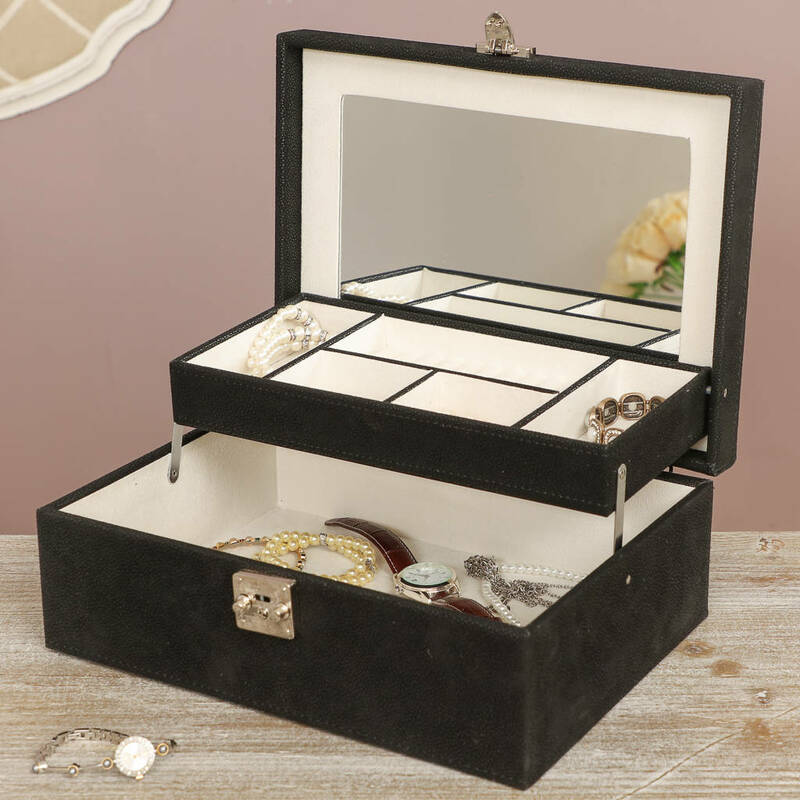 Finished in high quality faux black leather with a beautiful cream suede interior, this generously sized jewellery box is the perfect gift for the jewellery lover in your life. 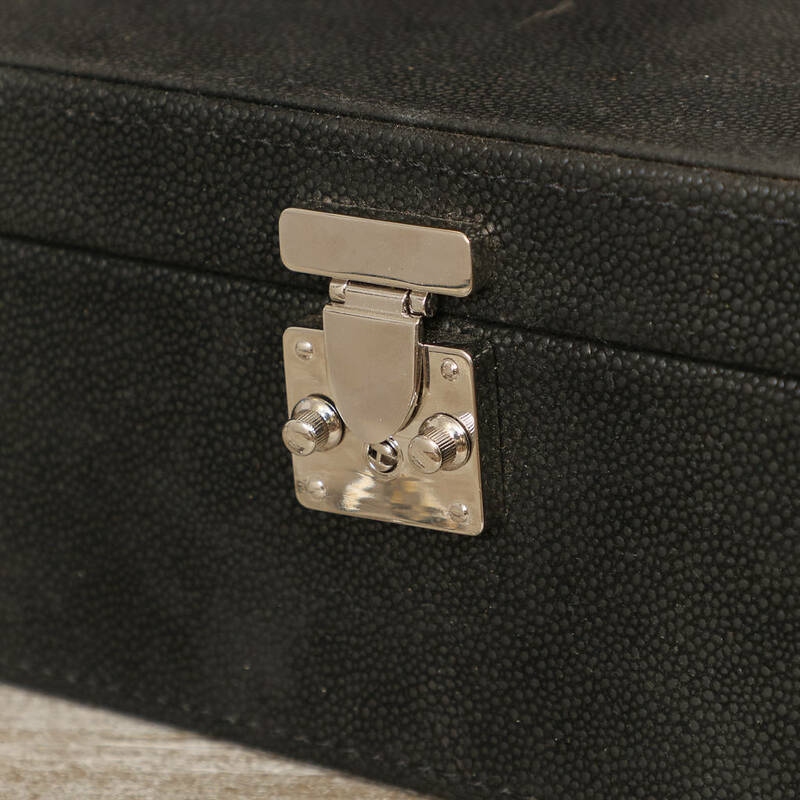 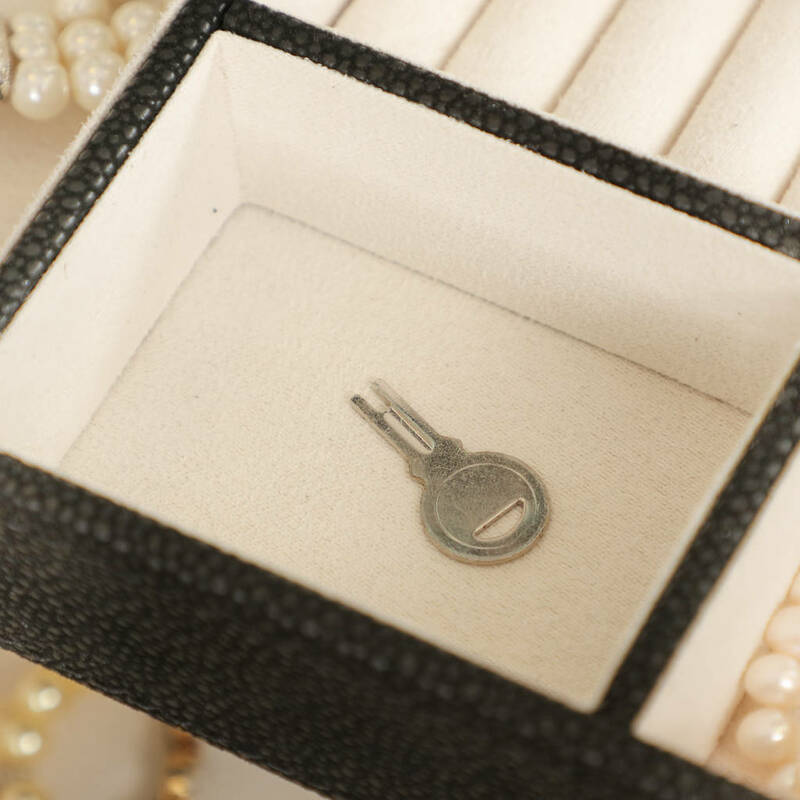 Complete with a locking silver clasp and key, your trinkets are sure to be stored away safely. 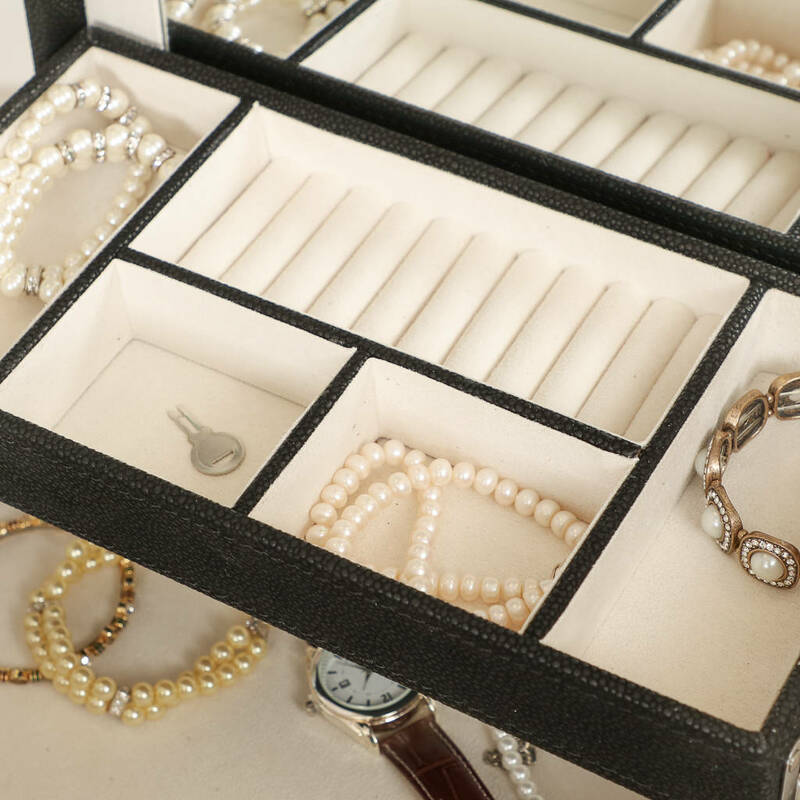 On opening the box lid, the upper tier unfolds, revealing one extra large compartment to the base for your larger items, five smaller sections on the upper tier, including ten ring separators, and a beautiful large inset mirror. 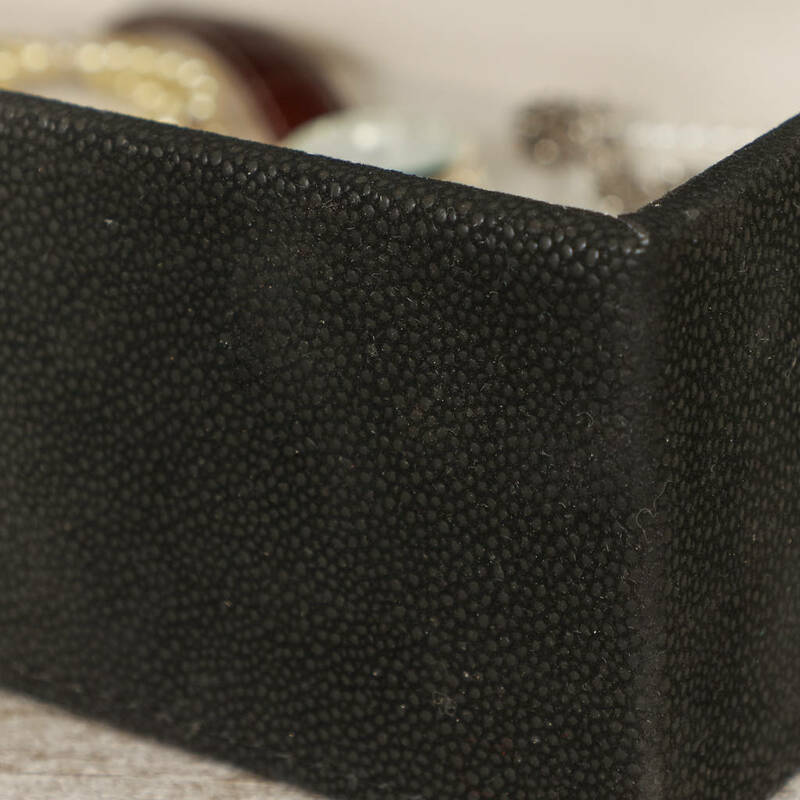 Made from high quality faux leather with a gorgeously smooth suede interior, this item uses only the highest quality materials whilst still remaining animal cruelty free.